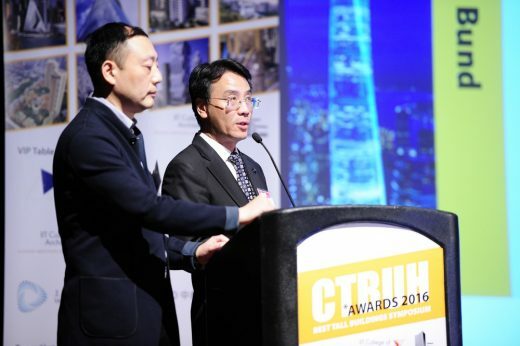 November 3, 2016, CHICAGO – The Council on Tall Buildings and Urban Habitat (CTBUH) Awards Jury has named Shanghai Tower, Shanghai, China the “Best Tall Building Worldwide” at the 15th Annual CTBUH Awards Ceremony and Dinner, celebrated November 3 at the Illinois Institute of Technology, Chicago. Senior representatives of the four regional winners presented their projects earlier in the day at the Awards Symposium, and the winner was selected by the Awards Jury immediately thereafter, which was announced during the Dinner and Ceremony following the Symposium. 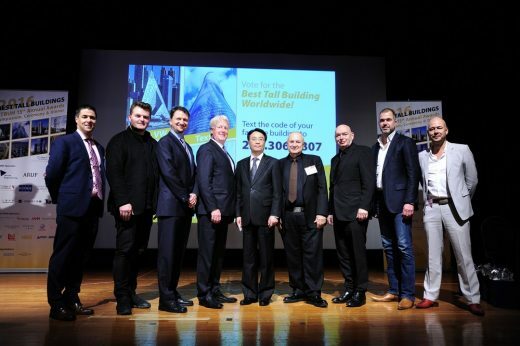 Along with the Jury’s selection, the audience had a chance to weigh in on their pick for Best Tall Building selecting VIA 57 West, New York City, US. Climbing skyward, Shanghai Tower (center) is seen in Shanghai (July 2014), in the final stage of construction. When completed in early 2015, the 632-metre (2,070 feet) tall tower will be the world’s second tallest building and China’s tallest building. 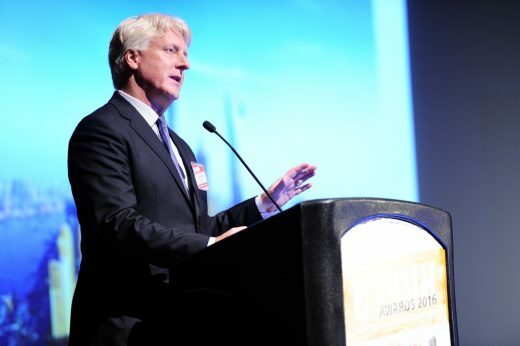 Chief Architect Marshall Strabala, who has overseen the Tower’s design for eight years, calls Shanghai Tower “…a captivating symbol of China’s promising and robust future.” Situated in Shanghai’s fast-growing Pudong District, Shanghai Tower is located adjacent to the Jin Mao Tower (left) and the Shanghai World Financial Center (right). 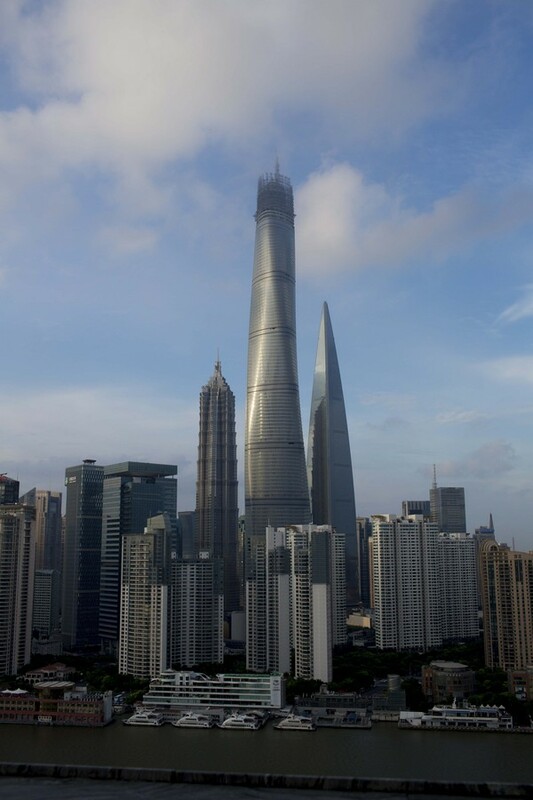 Of the 100 tallest completed buildings in China today, 90 were built since year 2000, according to the Council on Tall Buildings and Urban Habitat (CTBUH). Piercing the clouds, the top of Shanghai Tower (center) is seen in Shanghai (July 2014), in the final stage of construction. When completed in early 2015, the 632-metre (2,070 feet) tall tower will be the world’s second tallest building and China’s tallest building. In these last months of construction, the top floors and first six floors of the building are being completed. The top of the tower is designed so it can slightly sway in heavy winds, and will feature wind turbines to generate power for the structure, says Strabala, who also led the design of the Burj Khalifa, the world’s tallest building in Dubai, UAE. 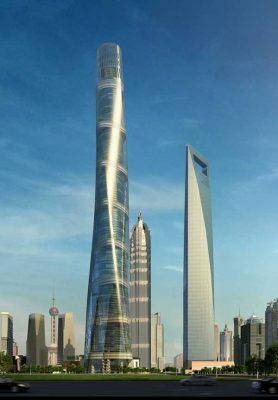 Shanghai Tower’s sustainable design is expected to earn it LEED-Gold status, and certification from the China Green Building Committee and the US Green Building Council. 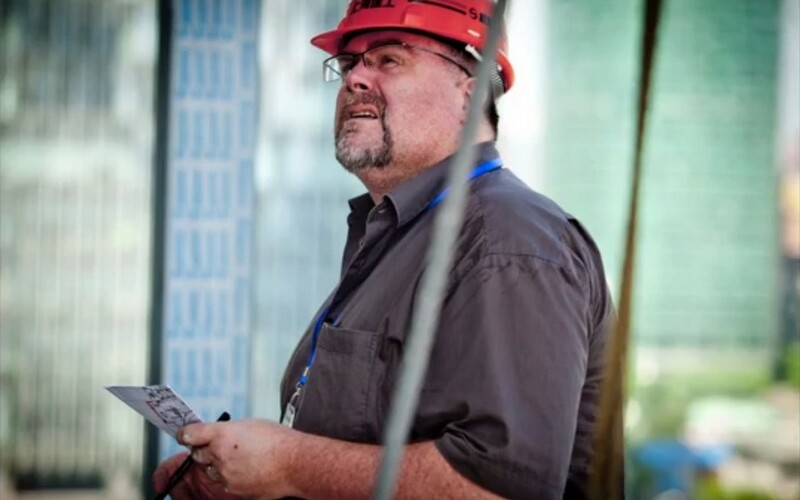 Marshall Strabala, Chief Architect of Shanghai Tower, carefully reviews the building’s construction progress. 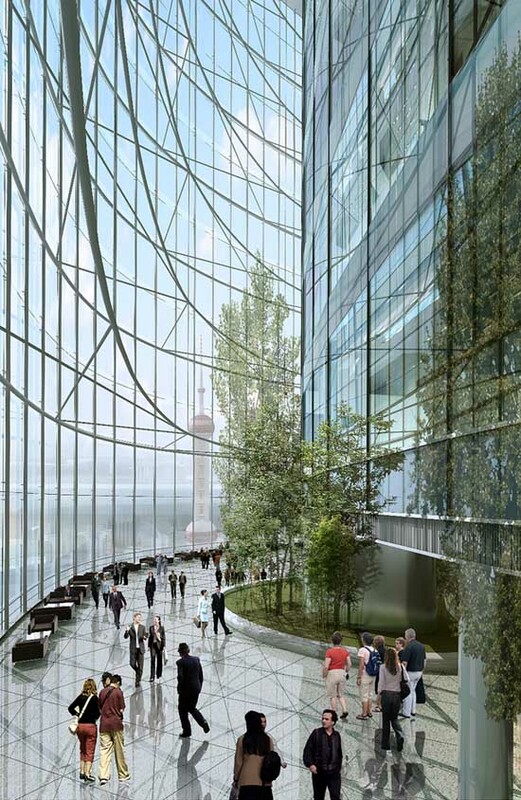 Strabala has led the design of the Shanghai Tower for eight years, since serving as the former Director of Design at Gensler. He now leads his own global architectural firm, 2DEFINE Architecture, with offices in Shanghai, Seoul and Chicago. 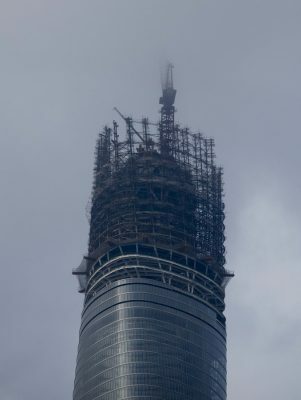 After eight years of design and construction, Shanghai Tower, the world’s second tallest building at 632-metre (2,073 feet) is in its final months of construction prior to an early 2015 opening. Marshall Strabala, Chief Architect of Shanghai Tower, China’s tallest building this, can give you an update of tasks taking place in these final months, and the compelling and unique challenges that the design and construction team face to complete the world’s tallest double-skin building. Revolutionary curved design that can withstand a peak wind load of about 114 miles per hour or 51 meters per second. The building will sway in heavy winds, but the unique design’s twisted shape minimizes the force of the wind. The buildings stiffness minimizes acceleration to the point where occupant will not feel any movement. Sustainable design that is expected to earn it LEED-gold status from the USGBC, and also a three-star certification from the China Green Building Committee. This tower will have many green features including a double-wall or skin, vertical axis wind turbines, and geothermal coupling. Double-skin (double wall) system that keeps out heat in the summer, and preserves heat in the winter, and how it works. A simple geometric computer model was used to ensure every wall panel is the correct size, shape, and location. How the design of the Shanghai Tower compares to that of the Burj Khalifa, the world’s tallest building in Dubai, UAE. 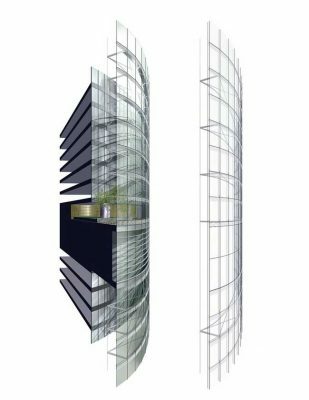 Strabala worked on the design of both of these buildings, and was Studio Head and Associate Partner at Skidmore Owings and Merrill when he led the design team for the Burj Khalifa. The original design ideas of the Shanghai Tower came from the lessons learned on the Burj Khalifa. 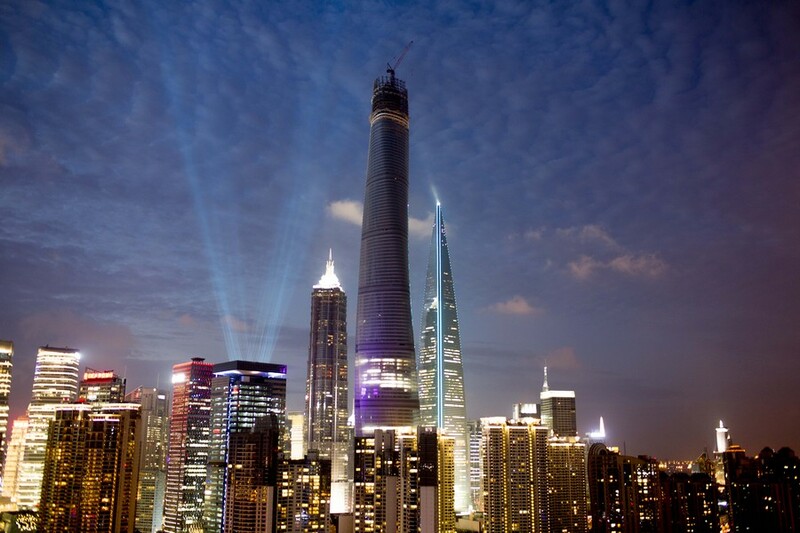 When finished, the Shanghai Tower will be China’s tallest building and the world’s second tallest building. It will become the latest architectural icon to represent China’s exceptional urban development and growth. Before it was developed starting in 2008, the building’s site was a golf driving range. Over the past few years alone, China has built one new skyscraper every five days, reports BBC News. 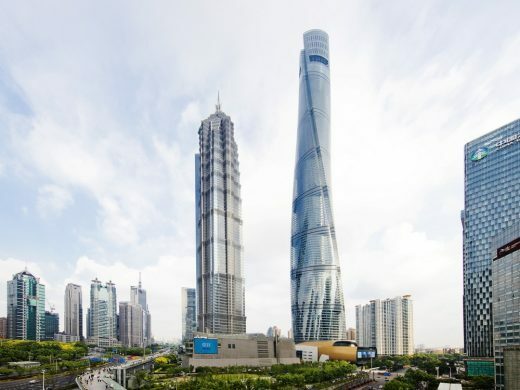 Of the 100 tallest completed buildings in China today, 90 were built since year 2000, according to the Council on Tall Buildings and Urban Habitat (CTBUH). Marshall Strabala AIA AFAAR LEED AP. Chief Architect of Shanghai Tower, who works on behalf of the building’s developer, Shanghai Tower Construction and Development, Ltd. An award-winning international architect living between Chicago and Shanghai, Strabala has been a leading member of the building’s design team for eight years, and previously had lead design roles in the design of the Burj Khalifa in Dubai and Nanjing Zifeng Tower, number one and seven respectively . Strabala was Associate Partner and Studio Head at Skidmore Owings and Merrill when he led the design team for the Burj Khalifa and Nanjing Zifeng Tower. In 2014 the elevators that Mitsubishi are set to install in the Shanghai Tower will take over as the world’s fastest at a speed of 64.8 km/h. The tower itself will become the world’s second-tallest building on completion. 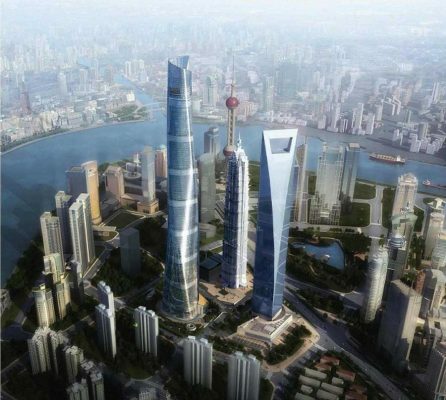 Shanghai, China — With the groundbreaking of the 632-meter (2070 feet), Shanghai Tower, China’s tallest building, Marshall Strabala, the building’s Director of Design, will achieve another significant milestone in an illustrious design career. This will mark the final stretch of Strabala’s latest and most important project to date. With the Shanghai Tower, the Houston-based architectural designer has designed three of the world’s 10-tallest buildings, including the 160+-story Burj Dubai, the world’s tallest building now under construction in Dubai, United Arab Emirates, and the 420-meter (1380 feet) Nanjing Greenland Financial Center in Nanjing China to be completed in 2009. However, Strabala says Shanghai Tower will be different than the others. “Shanghai Tower will represent China’s dynamic ‘future,'” said Strabala. “It will be an impressive building where China looks ahead to both the future of this bustling and ever-changing metropolis, but also to the future of the dynamic Chinese spirit. There will be no other such unique and well-conceived tower like it anywhere in the world,” he added. 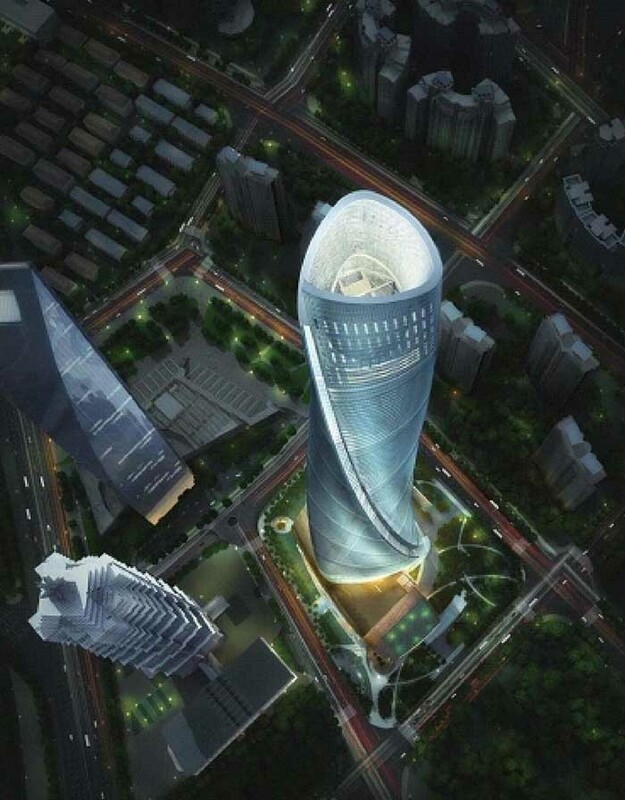 Featuring a soft triangular shape, the tower rotates as it juts skyward and concludes with an open-top design. As the shape rises, a “strike” or open notch curves up and around the building which is an engineering feature to control the wind up and away from the building. The 120-story tower will feature office space, luxury residences, a high-end hotel, retail space, restaurants and a public observatory. The development will be separated into nine distinct bioclimatic zones, with each having its own atrium, lush gardens, indoor air controls and panoramic 360° views of China’s largest and most populous metropolis. Shanghai Tower also will be the world’s first super-tall building with a “double-skin,” according to Strabala. Part of an environmentally friendly, “green building” approach, the double skin has two glass walls. “Green building” is the practice of improving the efficiency of how buildings use resources such as energy, materials and water, while reducing the impact that buildings have during their lifespan — on health and the environment. 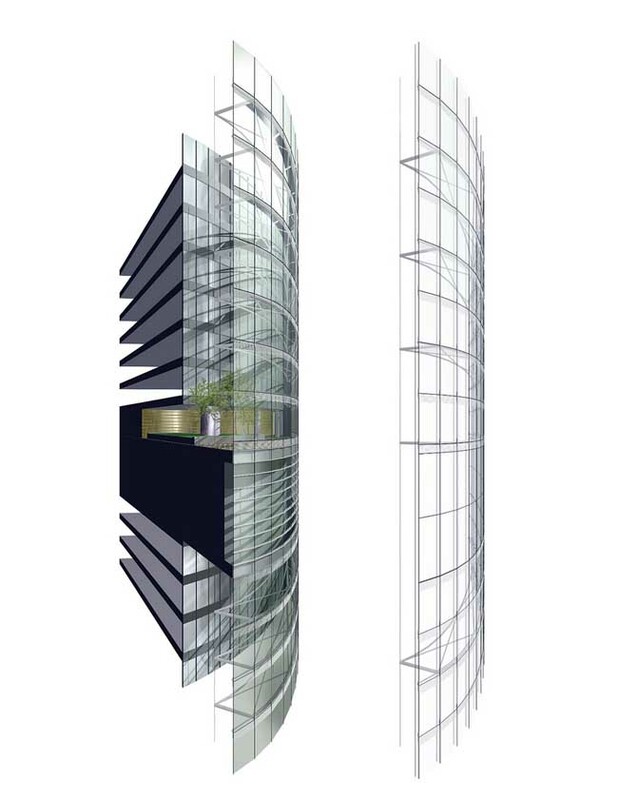 Expanding on the green building concept, wind turbines will be placed on the roof to generate windpower. 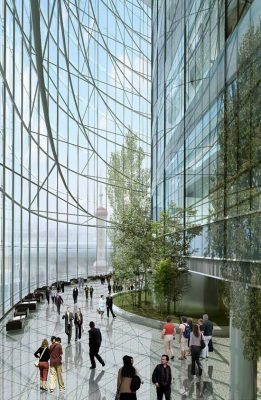 And, the building will be situated within a 10,000-square meter (107,600 square feet) open green space that will become both a public park and the front entry to the tower. The project will seek LEED certification from the China Green Building Council, in association with the US Green Building Council. Strabala, who has earned his LEED certification, has incorporated green building concepts in his designs for many years. According to Strabala, Shanghai’s central city is running out of space so it is therefore efficient and economical to build super-tall, mixed-use buildings, instead of multiple smaller buildings spread out across the area. Strabala has no doubt that when it is finished in 2014, the Shanghai Tower will be viewed as a city landmark and treasure. 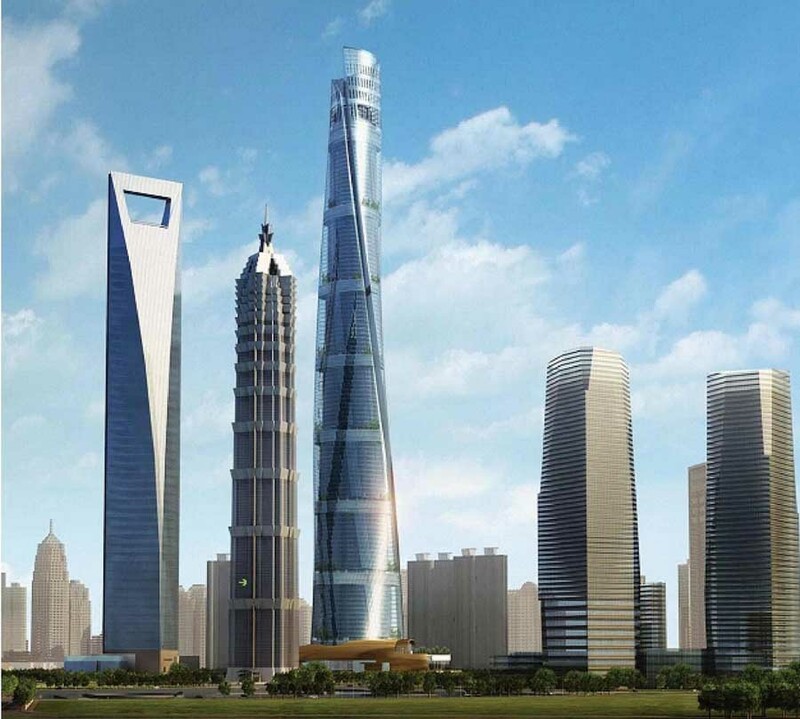 Shanghai Tower will be located in the Lujiazui section of the city’s Pudong district. It will be adjacent to, and taller than, two other super-tall buildings, the 421-meter (1380 feet) Jin Mao and the 492-meter (1614 feet) World Financial Center. Together, the buildings are referred to as the “three brothers,” and are situated east and across the Huangpu River from the city’s historic Bund area. Strabala’s team of designers from the US-based Gensler architectural firm was selected following an intense 21-month-long competition among local and international design firms. 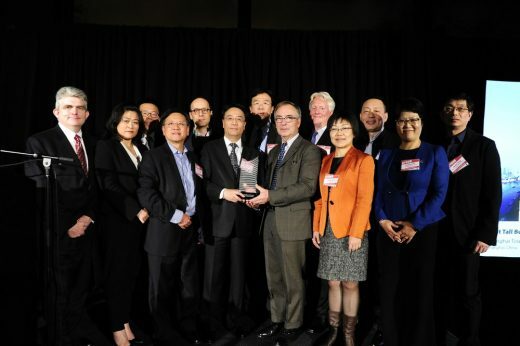 Strabala managed the design team including Jun Xia, principle of the Shanghai office, Xiamomei Lee, project manager, and Grant Uhlir, consultant manager.